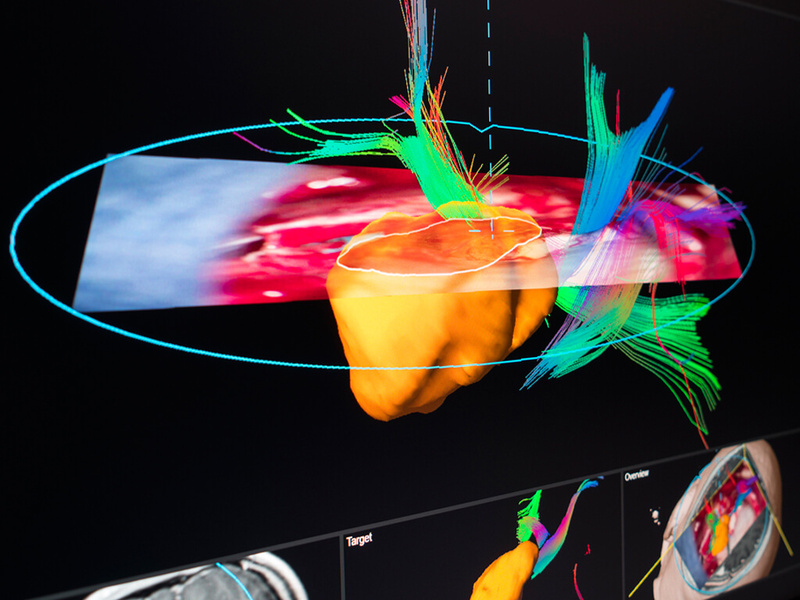 Redefining how surgeons experience navigation data. 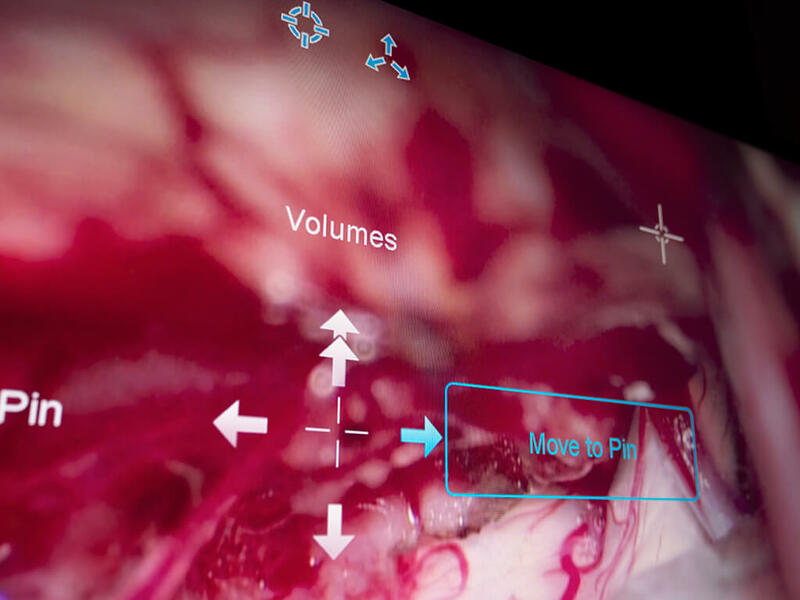 The way microscopes are used in the O.R. 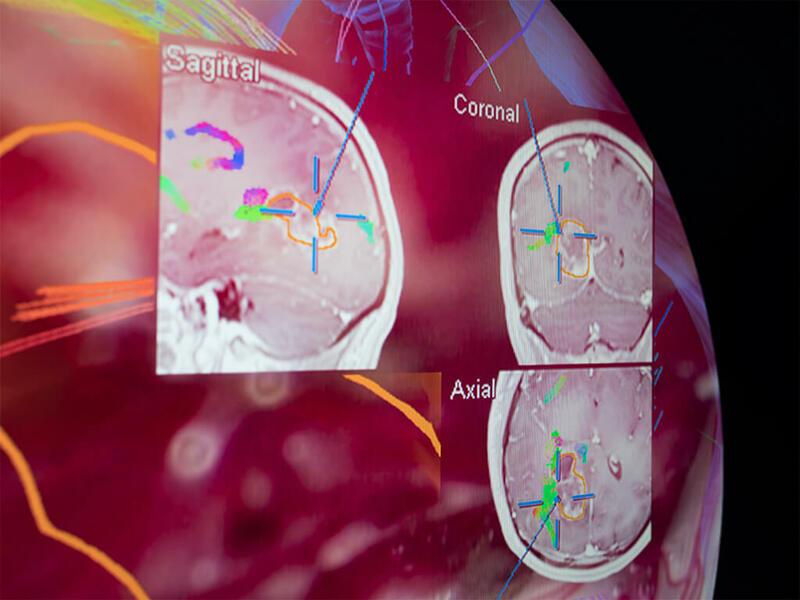 is in transition: Brainlab accommodates neurosurgeons’ needs in both the traditional approach of looking through the ocular as well as the more recent utilization of exoscope video images displayed on a dedicated screen. 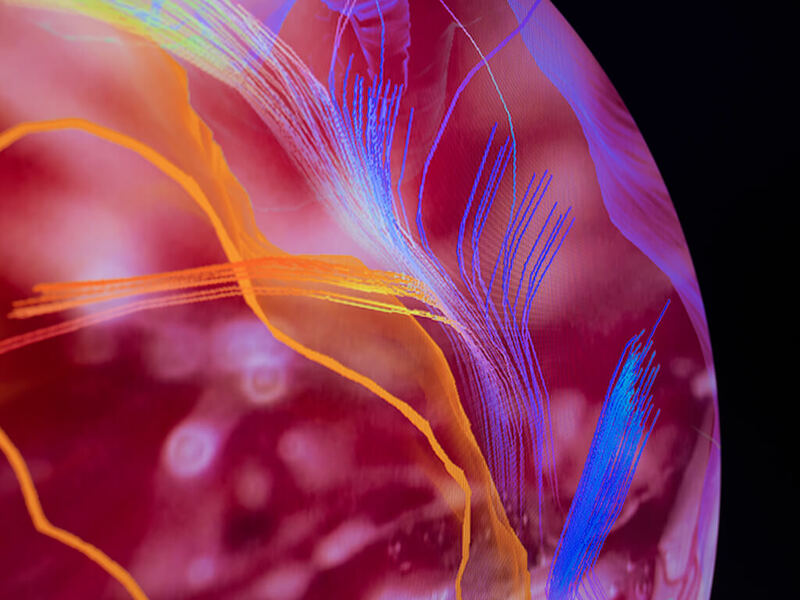 Reflective markers attached to the microscope enable visual tracking of optical axis and focal point. 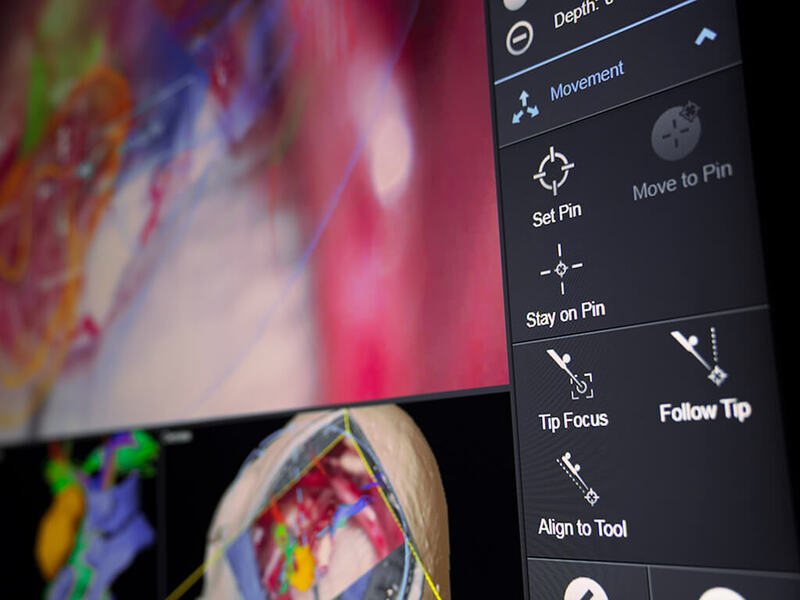 Combined with the new robotic capabilities of microscopes, navigation now plays an indispensable role in performing state-of-the-art surgeries. 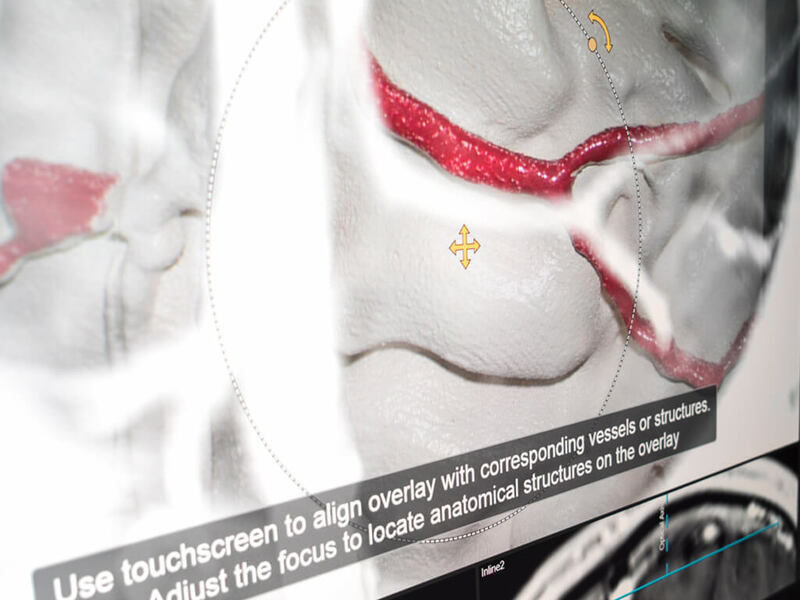 Augmented reality has become an essential technology in neurosurgery. 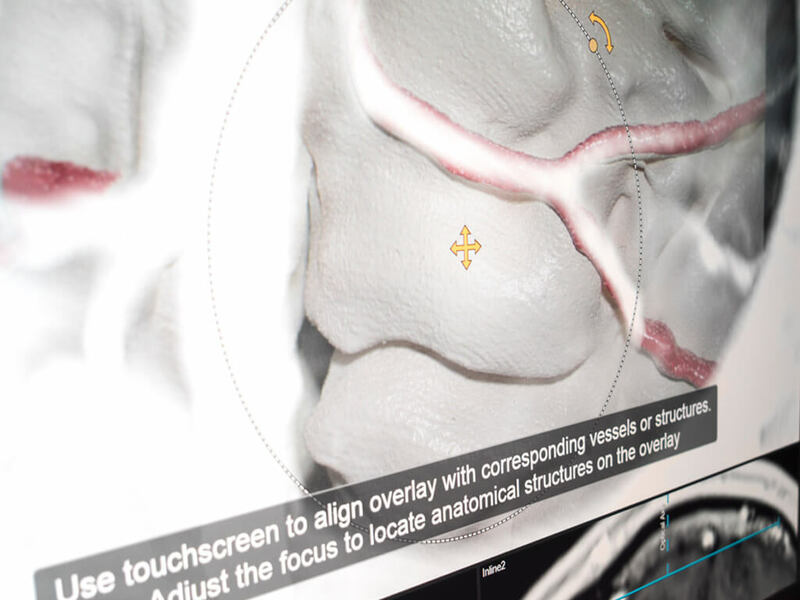 Microscope Navigation visualizes the planned surgical target and surrounding structures as semi-transparent volumes mixed with the anatomy seen, providing better spatial orientation throughout the procedure. 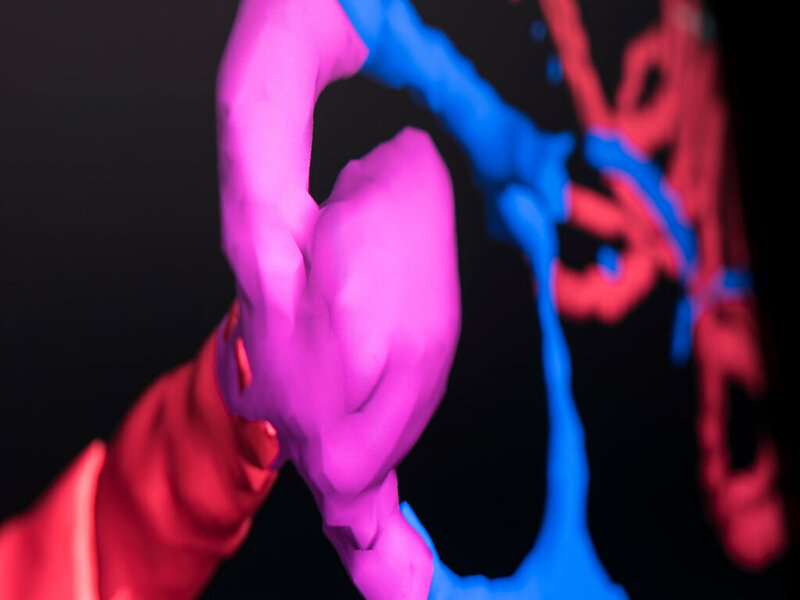 Touch-based rotation of the displayed 2D video image or Probe’s Eye reconstruction reveals underlying structures in 3D for more anatomical insight. 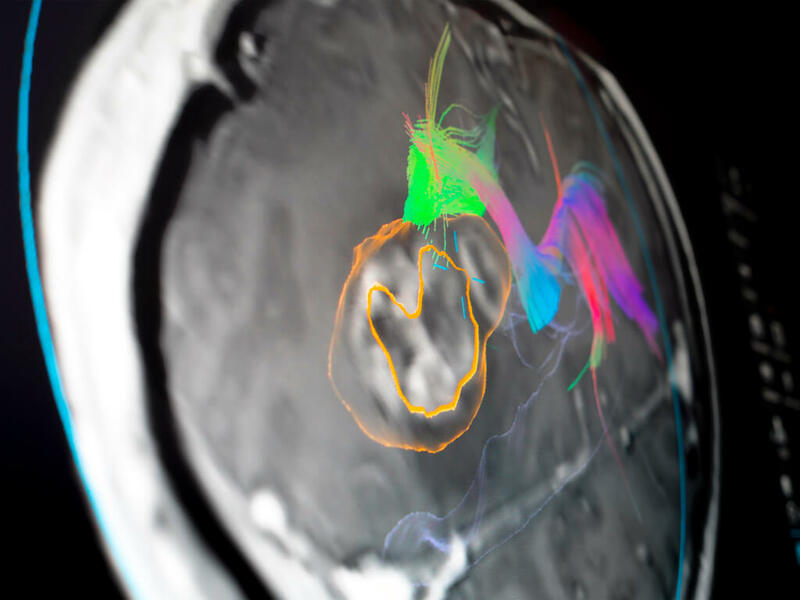 In order to maintain navigation accuracy, especially after craniotomy, anatomy shift can now be visualized by comparing vessels on the cortex with their corresponding MIP. 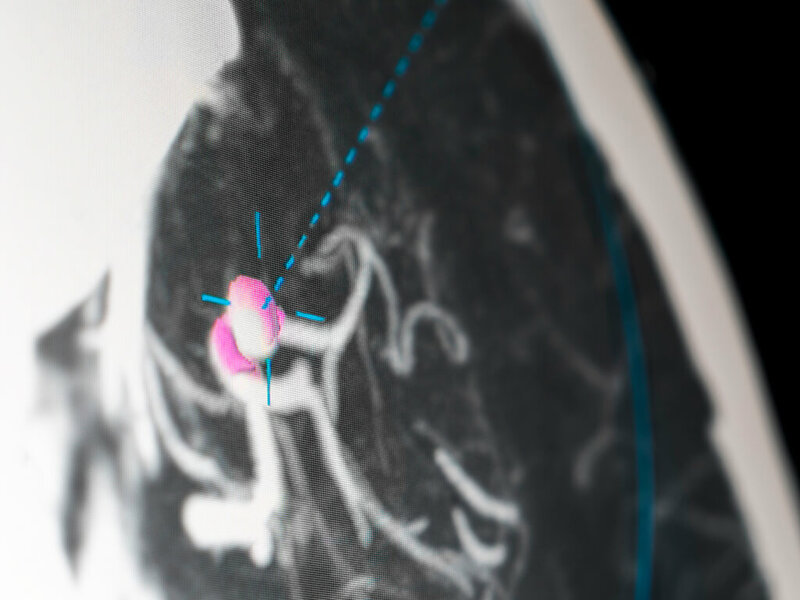 Patient registration is then updated through touch-based matching of vessels and MIP on the navigation screen. 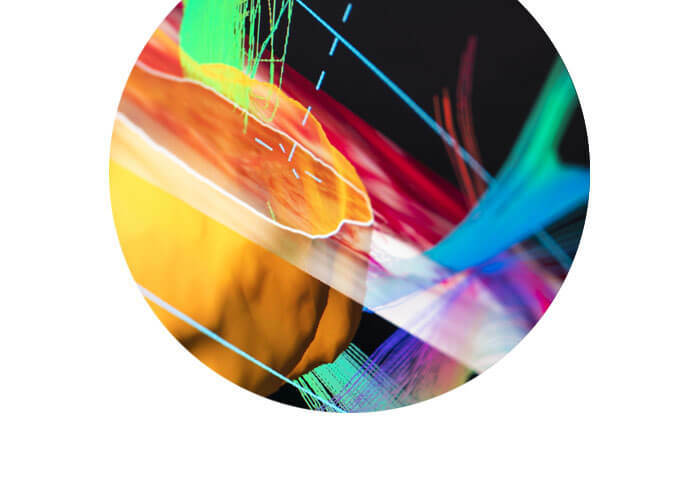 Using a microscope should always be ergonomic, efficient and ideally handsfree. 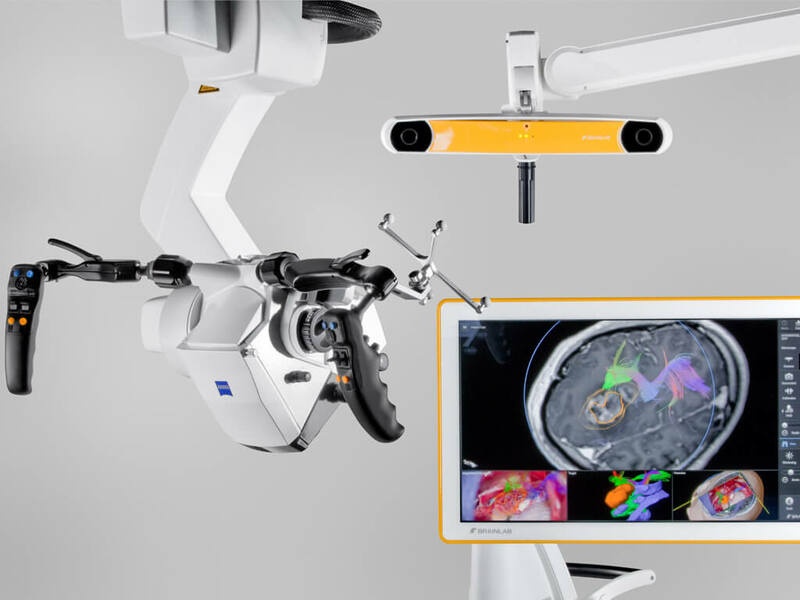 Microscope Navigation supports autonomous, full robotic alignment to any navigated instrument or anatomical landmark, eliminating the need for surgeons to reposition the microscope by hand. 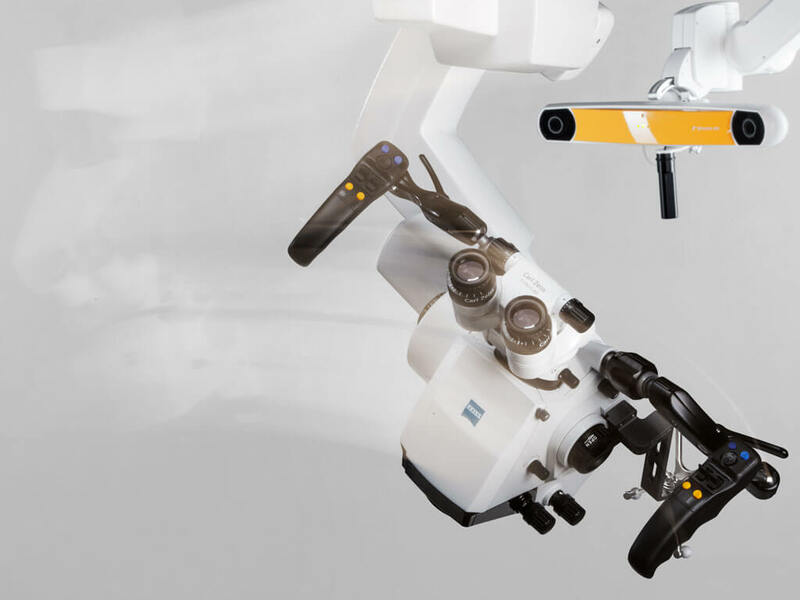 Available with ZEISS KINEVO® 900.